When considering a list of the greatest baseball players of all time, Mickey Mantle has to be right near the top. 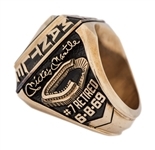 His career achievements – far too many to list them all – include three Most Valuable Player Awards (1956, 1957, 1962), seven-time World Series champion, 20 All-Star Games, and a Triple Crown season in 1956 when he led the league with a .353 batting average, 52 home runs and 130 RBIs. 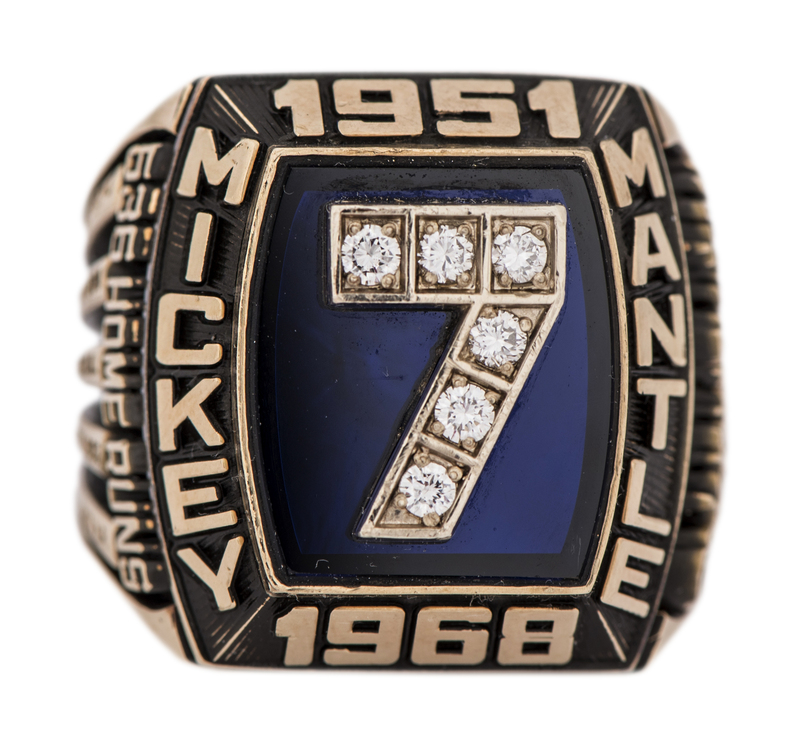 Mantle, who played his entire career for the New York Yankees, was inducted into the Baseball Hall of Fame in 1974. Presented here is a Balfour 10K gold Mickey Mantle career ring, featuring Mantle’s number “7” – made up of six diamonds – set on a large dark blue stone. “MICKEY MANTLE 1951-1968” appears around the bezel setting in relief work. 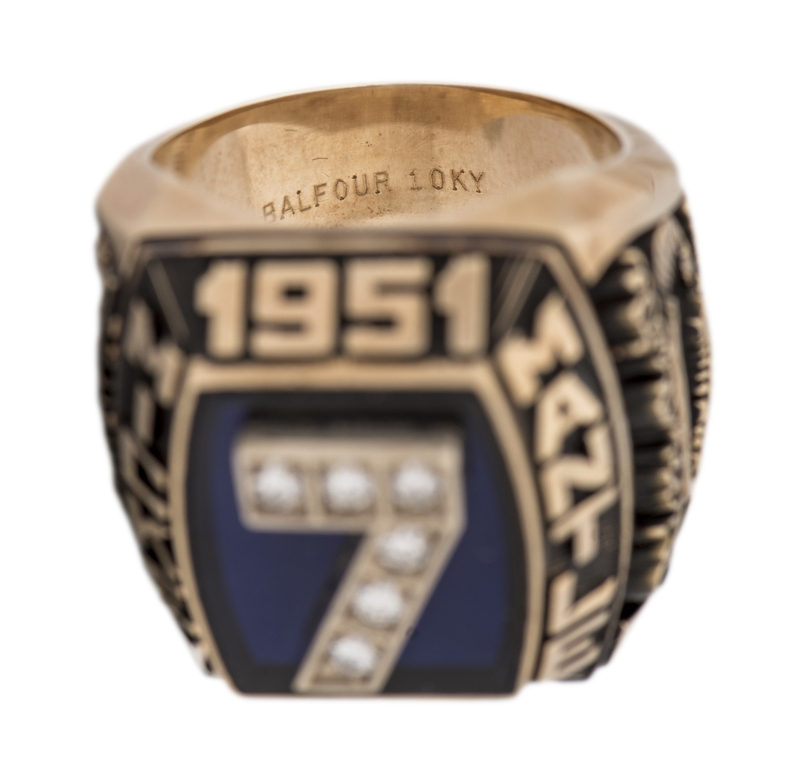 One side features a facsimile of Mantle’s signature above an image of Yankee Stadium, with “# 7 RETIRED 6-8-69” reading at the bottom. The opposite shank displays bats listing many of Mantle’s stats, including “.298 B.A. 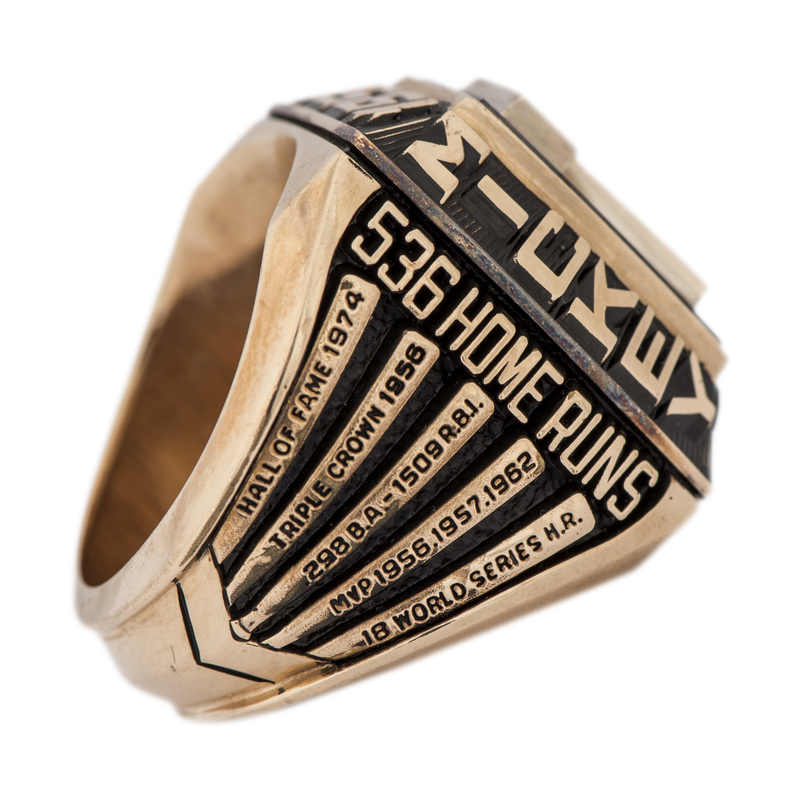 – 1509 R.B.I.” and “18 WORLD SERIES H.R.” His career total of “536 HOME RUNS” appears at the top. 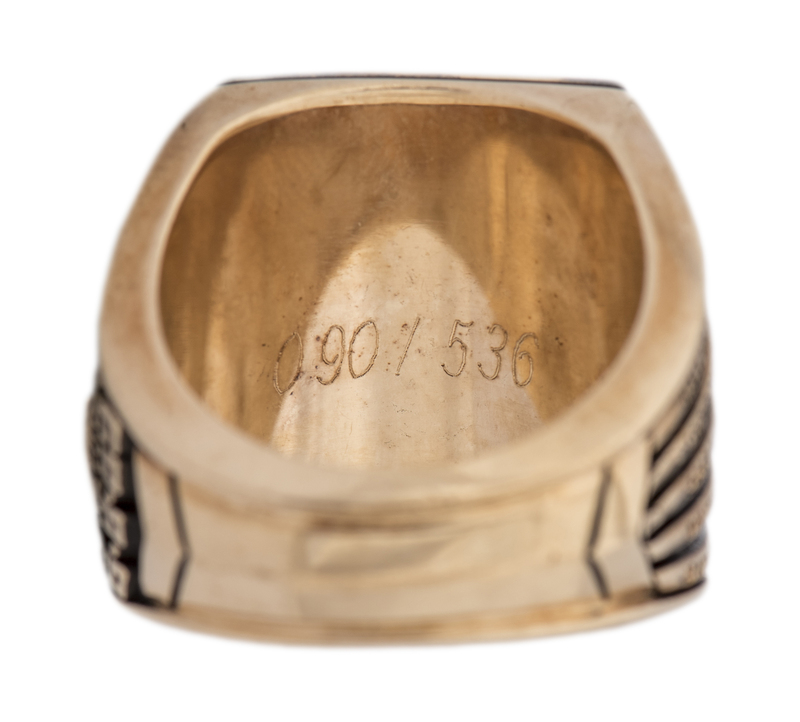 The inside of the band is marked “BALFOUR 10KY” and is numbered “090/536”. 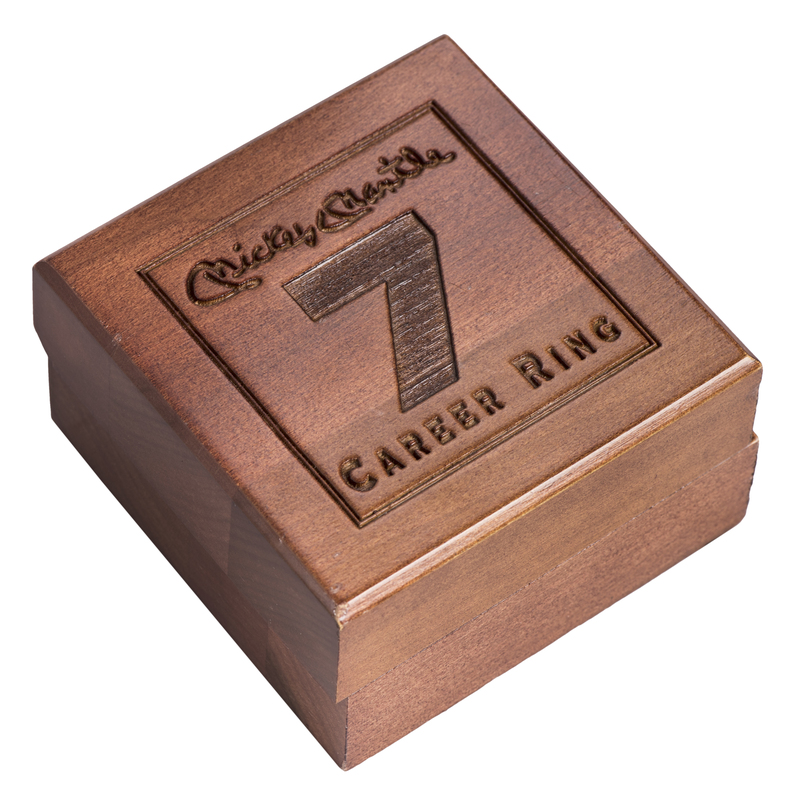 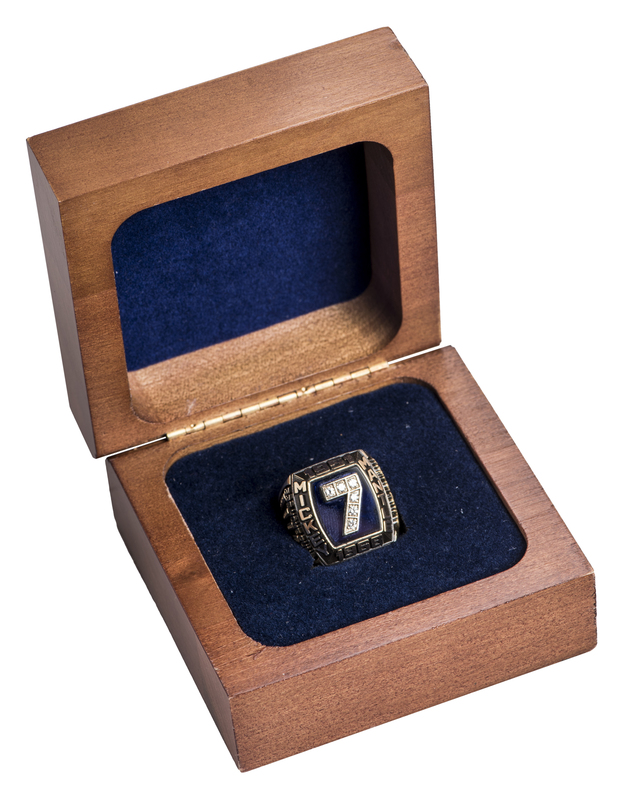 This ring is an approximate size 10 and weighs approximately 40.0 grams and includes the original hinged wooden presentation box which reads “Mickey Mantle 7 CAREER RING”.